Modernized Smena-Rapid camera with an accessory shoe on the top plate. Conceived by Charin V.I. Plastic body taking only the new Agfa Rapid or Orwo SL film cartridges, giving 12 views. Setting by symbols – clouds to sunshine - visible on the top plate. Intended for export markets only. Not as rare as Rapid camera. Quantity: 597.935 units (both with Smena-Rapid). PK3205. 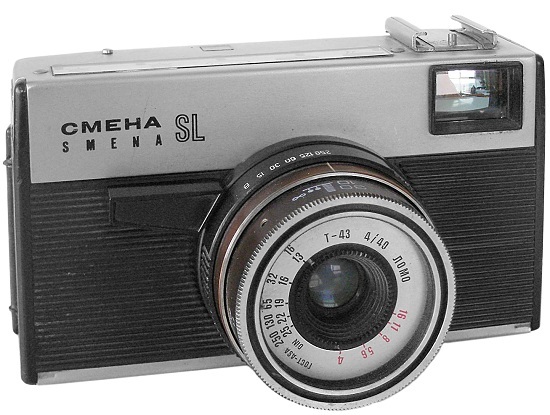 Seems to be an earliest version of regular Smena-SL camera. Single export markings stamped on the frontplate. Serial number without date prefix yet (see picture below). 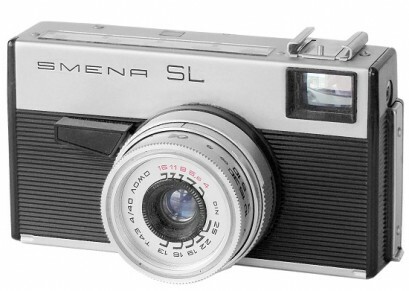 Aluminium lens body. 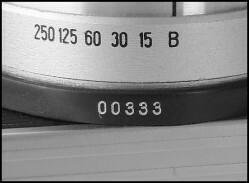 International DIN markings on the lens. PK3210. 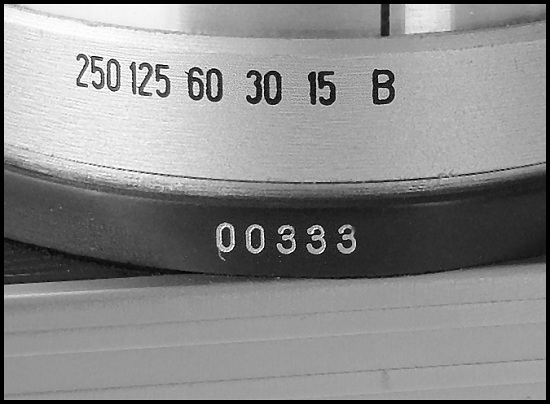 Camera identical to PK3505, but with date prefix in serial number already. 7-digits serial number. Name markings still stamped on the frontplate. Slightly changed faceplate's markings on the lens. PK3215. 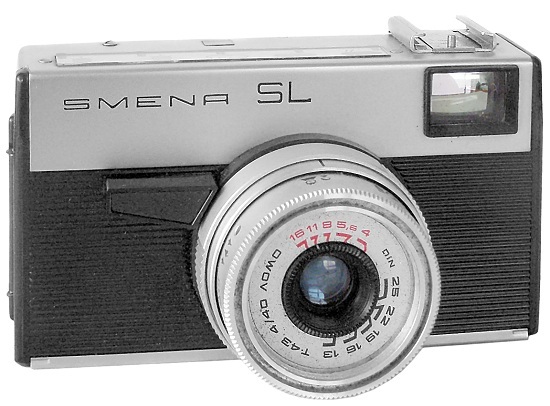 Another SL version with silkscreened Smena logo, placed in the very upper corner of the frontplate (see picture below). 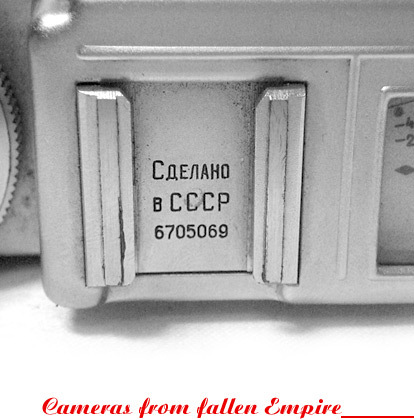 Investigated camera has s/n #7208661 (SovietCams). PK3220. 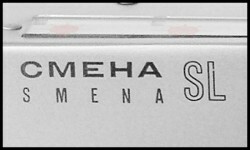 Very common to find binary title Smena (Cyrillic/Roman) with Roman abbreviation „SL“. Name markings silkscreened on the frontplate. New lens design. Easy to find in previous East Germany. PK3225. 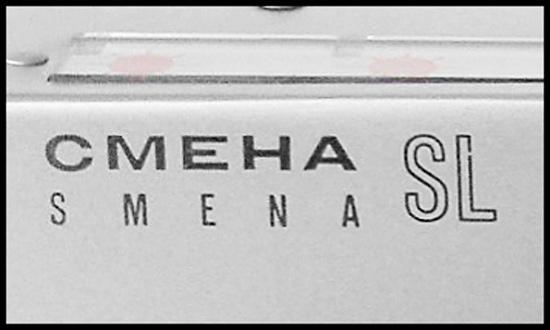 Less common variant with Smena logo, placed in the very upper corner of the frontplate. Not discount the possibility of rejections in production process. Investigated camera has s/n #7727226 (SovietCams).